Amazing Hi-Tech Beauty Items You Need to Know About! I grew up in a family where technology was always the best. Best gifts, best movie choices, & just the best conversation starters. In the land of hover boards (okay- they aren’t really hover boards! Just saying!) & various other seriously cool technical advances, I wanted to check out some of the best of the best! over the past year I’ve gathered up some fun new favorites & figured it was time to sweep them into a post & share! 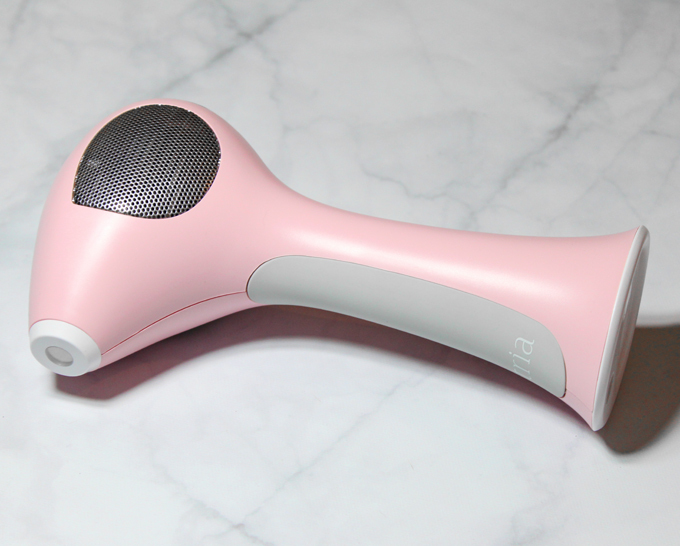 Let me start with kind of a major splurge item- the Tria Hair Removal Laser 4X! Spendy? Yes! Worth it? For me it is! The Tria is an upfront cost for a long term annoyance- shaving! This is an at-home hair removal laser for face & body that permanently reduces unwanted hair. You have to shave then use the rechargeable laser on freshly shaved skin. This laser is actually the only FDA-cleared laser for at-home use & completely beats out paying for treatments for me personally. The laser light provides precision while the digital display is easy to read. I actually have been using it while I watch TV like the true lazy after 6pm gal I am. I have fair hair & somewhat sensitive skin so I actually do have redness for 1-2 days following but knowing that my hair growth is slowing & eventually dissipating is totally worth it! After three months of treatment, hair follicles that have been deactivated by the Tria Hair Removal Laser 4X will no longer grow hair. This is an amazing investment & something that really makes me feel like it is making a difference in razor costs & extra time doing something I happen to hate. 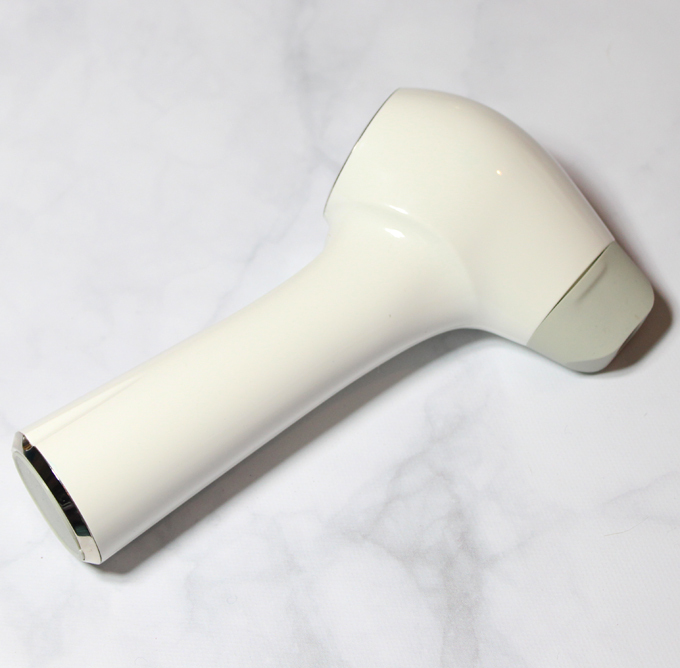 I’m sure you’ve seen lots of reviews already, but I’ve also been trying out the Michael Todd Soniclear Petite Antimicrobial Sonic Skin Cleansing System. 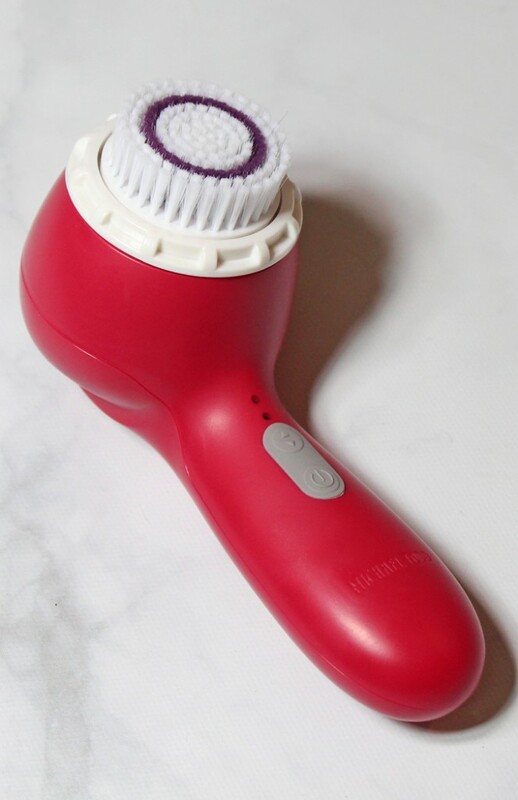 While I sometimes have to reach for something more targeted towards sensitive skin, I find myself also needing a facial cleansing brush like this. My dry skin really LOVES how exfoliating it is & it gets my skin feeling really clean as well. 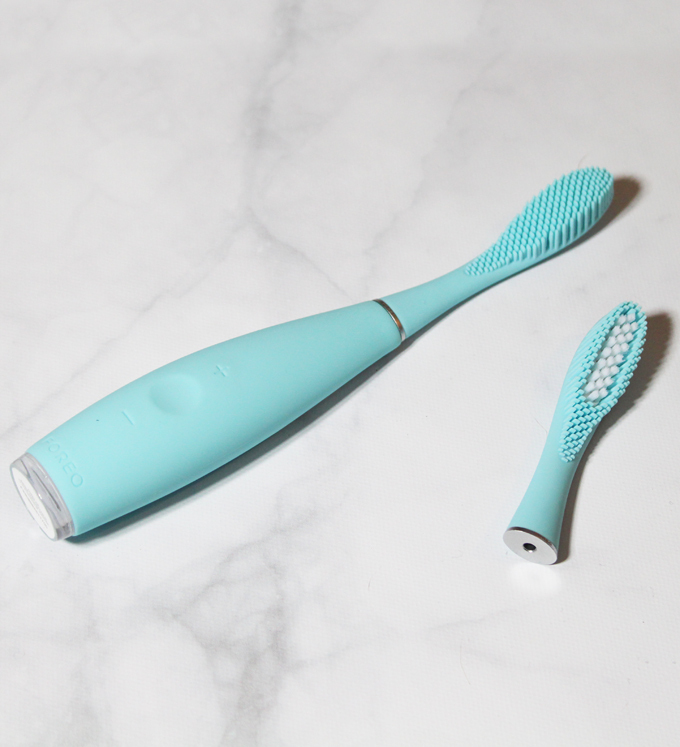 There’s three speed options & it the first antimicrobial sonic cleansing brush. I even use the timer in the mornings especially when I’m seriously dragging- it beeps every 20 seconds to move to another cleansing area.Plus it is rechargeable & waterproof which is super handy for me! This flat iron is FANTASTIC & GLITTERY! The CHI ULTRA Glitter Sweet is a 1″ iron & has tourmaline ceramic plates. It heats evenly & the ceramic heat produces infrared & negative ions. After using it my hair is super shiny & actually helps with my hair not getting all static. If I were a professional hair stylist I’d pick this up ASAP because… I mean what client wouldn’t want to come back for more & who could forget a glitter iron? I use it at home obviously & it just feels special. I smile every time I see it sitting there calling my name. This particular color is only available at ULTA so be sure to scoop it up while you can! Want something futuristic? 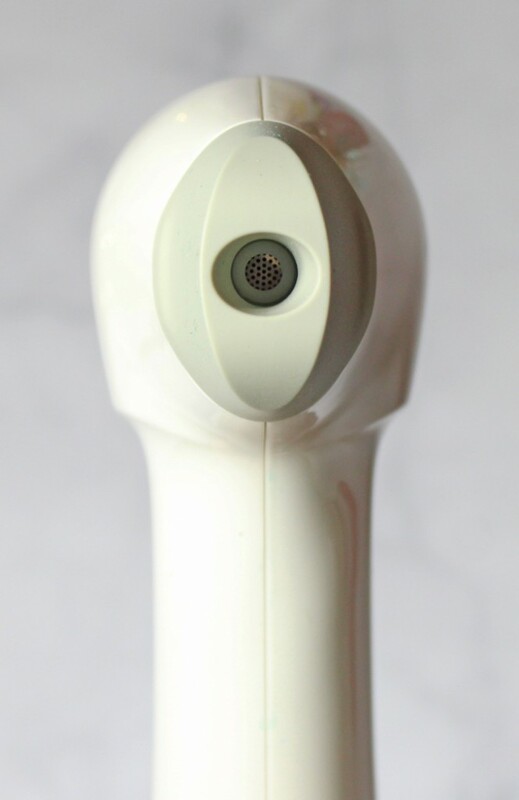 Look no further than the Le Mieux 4-in-1 Ultrasonic Anti-Aging Skin Perfecter. As soon as I watched the demo video (like here!) I was all in. It is the COOLEST looking thing! Basically this is a metal piece (not sharp) that glides over the skin in 4 different ways. Depending on the way you hold it it can help to gently cleanse, exfoliate, extract, & even infuse skin for smoother, brighter results. It uses non-abrasive micro-exfoliation & I genuinely notice it helping to clear my pores without damaging my skin. I freely admit that I’m obsessed with making my skin better. I have OCD so it is really hard for me when combined with my anxiety not to obsess over my skin in the mirror. As I try to step back & accept the things I cannot change…I also find myself reaching for tools like this that do. My favorite aspect is that I don’t have to replace anything- no brushes, cartridges, etc. I just hook it up to charge & use it again the next day. Plus…the misting just looks so cool! Next is kind of a weird one- because I hated it. I didn’t dislike it…I hated it. I’m talking about the FOREO ISSA Toothbrush & sorry but it is true. I actually told the brand that. It didn’t work for me & didn’t leave my teeth feeling clean which is what I expect from my toothbrush! But the FOREO ISSA Hybrid is different & I’m so glad they sent it to me. Basically it is a new brush head (the one on the right) & they are much better for plaque. The original feels like a gum massage while the new Hybrid feels like a genuine toothbrush. The silicone doesn’t just look nicer, it feels comfortable & really helps my gums. I’m sold. I’m so glad they made the change & sent it for me to try! Feeling less firmness on your face, then this last hi-tech find is for you! The Conture Kinetic Skin Toning System is meant to aid with firmness, smoothing, & overall younger looking skin. As I said earlier, I’ve been super focus on my skin so this sounds fabulous! It basically reminds me of an octopus sucker (ha!) & you can use it all over your face, décolleté, & neck. They do say to avoid delicate areas (like the eye area) & any broken or irritated skin. Like breakouts- don’t do that! The Conture Kinetic Skin Toning system utilizes Ultra-Low Frequency Vibrations that radiate outward from the treatment cup. The effects of Ultra-Low Frequency Vibrations are a consistent focus area of new research designed to find increasing ways to stimulate skin, particularly aging skin. In a clinical study designed to measure the effect of skin absorption of topicals such as lotions and cremes, the Conture Kinetic Skin Toning System was shown to improve the skin’s natural ability to absorb by 300% compared to a skin area which just had topicals applied. The system comes with other skincare items but as far as the device goes it includes the charger & two of the suction cups in different shapes. I’ve definitely felt a difference in my skin but I want to use it more consistently before giving my full approval! I’m really happy with the results so far though so i wanted to share- because it is crazy cool as well! What are some of your favorite beauty gadgets? Any absolute must-haves? Anything here catch you eye? Tell me in the comments below! 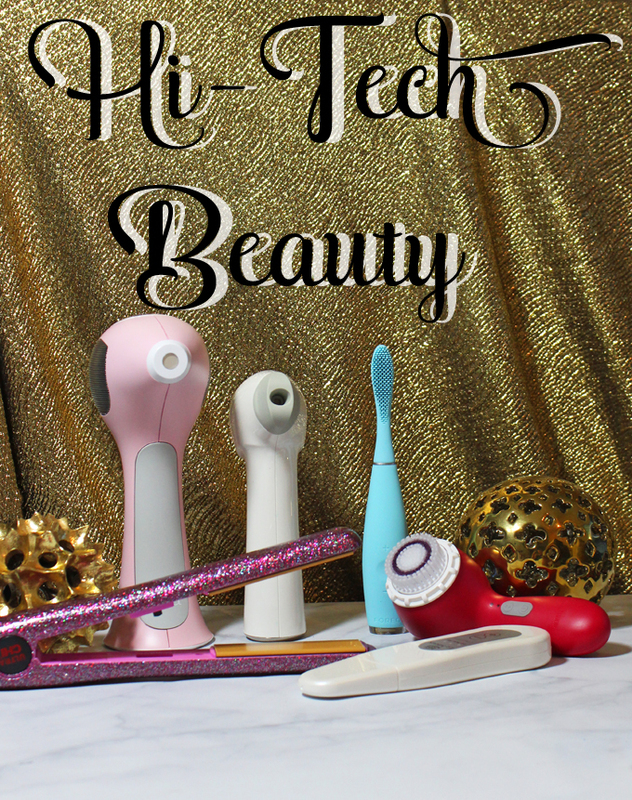 Using the Most Hi-Tech Blow Dryer + Getting Gorgeous Curls Review 5 Unexpected Beauty Items to Travel With + Hold Me Bag Jolen Lets You Go Bleach or Bare this Season! Party Prep- 3 Beauty Items to Get Ready & Be Confident!